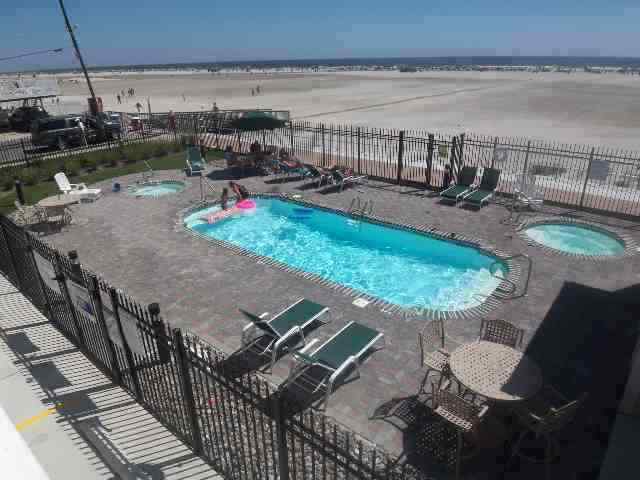 OCEANFRONT WILDWOOD CREST LUXURY RENTAL at the STOCKTON BEACH HOUSE, 520 EAST STOCKTON ROAD - 2 bedroom, 2 bath vacation home located in the Stockton Beach House in Wildwood Crest. 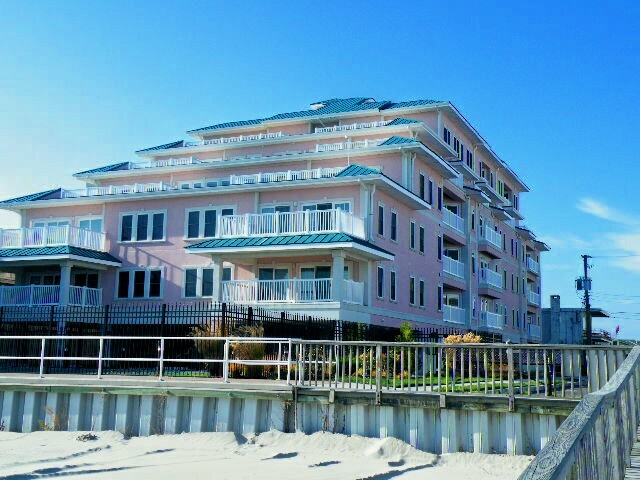 Building is located beachfront with the pool facing the ocean! Home has a full kitchen with range, fridge, dishwasher, microwave, blender, icemaker, toaster and coffeemaker. Sleeps 7: queen, full/twin bunk, and queen sleep sofa. Amenities include pool, hot tub, gas grill, internet, central a/c, washer/dryer and two car off street parking.